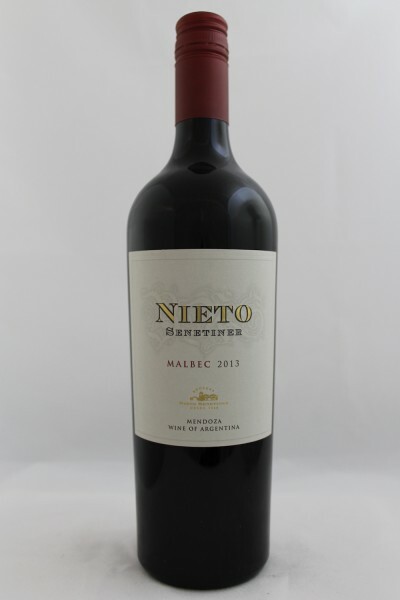 Bodgeas Nieto Senetiner was established in 1969 by Nicanor Nieto and Adriano Senetiner, in Lujan de Cuyo to the north of Mendoza, Argentina. The vineyard is situated in Lujan de Cuyo at the foot of The Andes, where weather and soil conditions are exceptional for high quality vineyard growing and premium quality winemaking. A deeply-coloured, powerful red with great concentration of berry fruit. Complex flavours of plums, figs, and dried fruit with a smoky vanilla character. Juicy fruit and great balance on the finish.